As Morgan Rielly enters his third NHL season this October, and (hopefully) his first as the #1 Dman on the Leafs, he also enters the last season of his entry-level contract. This means that the Leafs best defensive prospect/young player is due for a pretty good raise, and that the Leafs have a tough choice to make: Do they sign him long-term and give him money he hasn’t earned yet in the hopes of looking a star player up through his prime to a high-value contract, or do they make him “prove it” it with a bridge-deal? If a team signs a player to a deal that bridges the years between their entry-level contract and the beginning of their unrestricted free-agency years, they will definitely save money in the short-term and protect themselves if the player doesn’t work out for whatever reason. Since a lot of players don’t fully establish themselves or find their niche by the time their ECL is up, a bridge-deal allows both the player and team to assume equal risk and decide on the long-term when both sides know more fully just what kind of player they are/are getting. Though the easiest, fairest and most obvious solution a lot of the time, I am not a fan of the bridge-deal in general and would look to avoid them when possible. I believe that because of the salary cap and the need to maximize the value of each dollar spent, that teams should try and identify what they think players will be and then bet on that in the form of a long-term contract. The Leafs did it to Jake Gardiner, and I think they should do it with Rielly over an even longer term, if possible. If you believe in the player, then lock him up long-term. If you don’t, then trade him while you can still get something for his potential. Basically, the bridge-deal, to my mind, carries even more risk than signing players based on what you think they’ll be. A certain percentage of the players you sign will fail to meet expectations, but I think the percentage of players you’ll over-pay (by waiting until after the bridge-deal to sign long-term) figures to be much, much higher (like close to 100% since contracts tend to be handed out based on past performances, and some players signed post bridge-deal may have already had their best season). My hypotheses then, is that over time, you only have to “”hit” on one of the long-term deals you sign in place of a bridge deal for every three you hand out, in order to put yourself in better cap position than if you had simply handed out conventional bride-deals and paid once a player had “proven” himself. Look at the recent Leafs’ salary cap mess: they maxed out their cap without having a single star centre, defensemen or goalie on their roster. They did this because they paid Phil Kessel as if he were an unrestricted free-agent, and then did the same with Phaneuf. Once you factored in the Clarkson, Lupul and Bozak deals, the Leafs were in a position where they couldn’t really improve their team in the short-term because of their cap situation and, of course, that was one of the biggest factors in blowing it all up and rebuilding. Had the Leafs decided to extend Kessel and Phaneuf earlier, on cheaper deals, we might be sitting here discussing how close the Leafs are to competing rather than accepting that it’s going to be a long, long time before we see meaningful games again in T.O. Of course, these two players weren’t exactly in the same position as Rielly, but the point remains the same: do what you can to avoid paying your own players market value. If we want a more comparable example, we can look to P.K Subban. The Canadiens opted to sign him to a bride deal and then were forced to pay him a cap-hit of $9 million on a long-term deal. On the other hand, the Coyotes signed defenseman Oliver Ekman-Larsson to a six-year deal worth $5.5 after his ECL deal expired. At the time, it may have been a high price to pay, but two years later, it’s one of the best contracts in the NHL. Certainly you’d rather have OEL and $3.5 million to spend than P.K alone for $9 million, as good as he is. 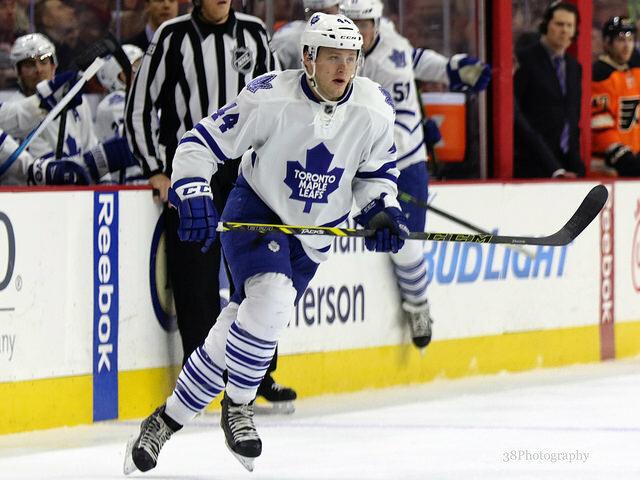 The Leafs obviously should not go the bridge contract route with Morgan Rielly, but they could wait until after this season, forgo the bridge contract, sign Rielly to a big extension, and still be making a mistake. I don’t think they should wait until next year. If they do, they won’t be saving as much because Rielly is likely going to breakout this season. If it was my money, I’d bet on him before he does it. Morgan Rielly skates with the best in the world and is too smart of a player to fail. Barring an injury, I’d consider him an absolute lock to be a star player. That is why the Leafs must sign him this summer, before he can play any more games. It’s not that I don’t want the kid to get paid, it’s just that I want the team to have value-laden contracts so that they can fit more great players in under the cap when it’s time to compete. 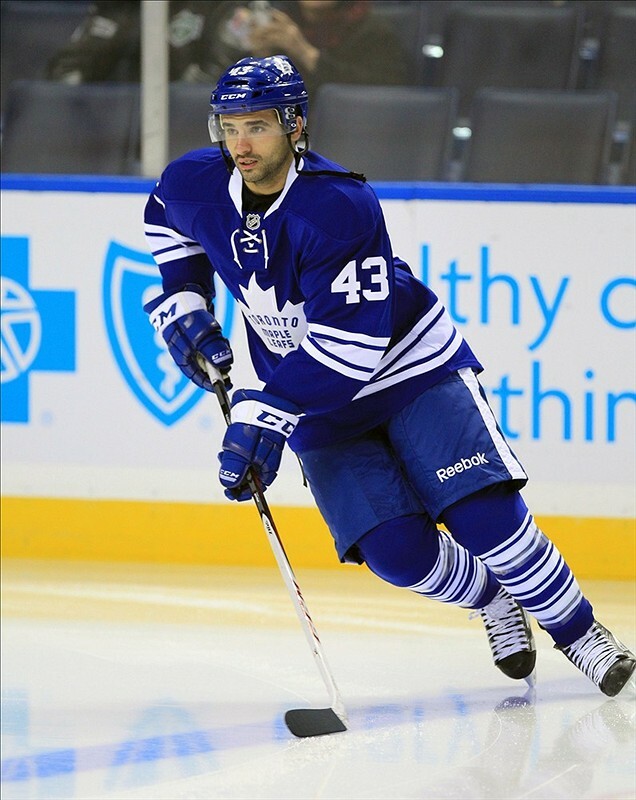 In my opinion, they made a huge error in failing to extend Kadri beyond this year. He’s superior to JVR at even-strength over the length of their careers, and so they should have taken advantage of the better-than-it-seemed 39 point season last year to lock him into a six or seven year deal at an advantageous price. Of course, based on the progressive nature of the Leafs front office, there is absolutely no way they don’t know that and so I assume it was Kadri who insisted on the single year. That’s his prerogative, but had the Leafs been a little more forward thinking last year, maybe they could have gotten him on a nice long, team friendly extension. They can’t let this happen with Rielly. If you figure that Phaneuf currently makes $7 million, then by the time Rielly is UFA, if he’s the player we think he is, then he’s likely to cost around $9 or $10 million, maybe more, depending on inflation and the cap’s rising in the next 3-4 years. If it comes to that, then it isn’t long before we’re discussing who to trade between him, Marner and Nylander. That can’t happen. So the Leafs should offer him a reasonable cap hit of around $6 or $7 million and as many years as he’ll sign for, hopefully the max, which is eight. Sure, he’d be leaving money on the table, but the reason he would agree to it is because then, no matter what happens, he’s guaranteed his money. Also, players must realize that by taking smaller cap hits, they stand a better chance of eventually playing on a winning team. Not to mention, that except on paper, there really isn’t a difference between making $40 million or $50 million – after the first few million, you can already buy anything you could ever want anyways. The Leafs must lock up the most important player they have and they should do it today.